The New York Yankees struck a deal between the late night and early morning on the last full day before the trade deadline when they acquired left-hander Jaime Garcia and cash considerations from the Twins for RHP Zach Littell and LHP Dietrich Enns, according to Joel Sherman of the NY Post. The deal was first reported as being close last night by Jeff Passan ofYahoo Sports and was first reported by Jon Heyman of FanRag Sports, though the clubs have not confirmed this deal. 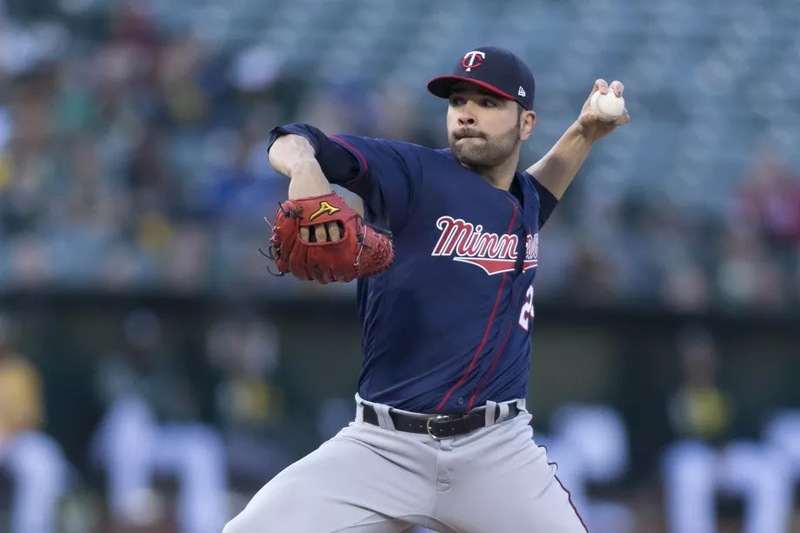 Garcia presents himself as a fine option at the back-end of the rotation as he is a clear upgrade over Luis Cessa and Caleb Smith. Garcia is 5-7 with a 4.29 ERA, 1.34 WHIP, .255 BAA and 12 homers allowed this season in 19 starts. This season, lefties are only hitting .235 with two homers off him in 102 at-bats whereas righties are hitting .261 off Garcia. His peripherals also suggest he is a better pitcher than his traditional numbers indicate with his 4.01 FIP leading many to believe his ERA is higher than it should be, though it is not high by any means. Garcia also appears to be a solid fit in Yankee Stadium. He has been a ground ball pitcher for his entire career, and this year is no different with 55.0% of batted balls off him being grounders. Among pitchers who have thrown at least 110 innings in 2017, that ranks as the fifth highest ground ball rate, just ahead of Luis Severino who is sixth. He also has only allowed 12.4% of the fly balls off him to be homers, which is in the lower third percentile. Garcia, 31, is a free agent at the end of the season, but that does not mean the Yankees will not consider resigning him. CC Sabathia and Michael Pineda will be free agents as well, and Masahiro Tanaka could opt out leaving a few holes in the rotation. Moreover, the Yankees may be looking to limit Jordan Montgomery and Severino's innings this season, so Garcia provides some insurance in the rotation. As for the return, this small package is headlined by the Yankees no. 22 prospect in Zack Littell. Littell was acquired last year for James Pazos and has been a stud between Tampa and Trenton, but Brian Cashman is selling high on the 21-year-old righty. To date, Littell is 14-1 with a 1.87 ERA, 1.08 WHIP and .241 BAA in 20 outings, including 18 starts. The Yankees are also sending 26-year-old lefty Dietrich Enns to the Twins. Enns was on the 40-man roster, so this presumably opens up a spot for Garcia to slot in. Enns was having another good year in AAA through seven starts with a 2-1 record, 1.99 ERA, 1.02 WHIP and .207 BAA. Still, he is no longer considered a prospect due to his age so he was not in the Yankees top 30. Though this may seem like a significant return initially, the Yankees were likely planning on non-tendering Enns this offseason, and would have faced a tough decision with Littell. The club would have had to protect him from the Rule-5 Draft by putting him on the 40-man roster, so the Yankees may have lost him as well. This deal gives the Yankees more leverage in the Sonny Gray talks. Now that the team has Garcia, they do not need Gray (though they are still very much in the lead for him), so there is not as much pressure on Cashman to meet Billy Beane’s high demands. For now, the Yankees have solidified an area of need in the rotation. The club is still in on Gray and we will keep you updated as those rumors continue progressing.